The preschoolers, all regular afternoon nappers, were deprived of roughly three hours of sleep on one day – they had no afternoon nap and were kept up for about two hours past their normal bedtime – before being awakened at their regularly scheduled times the next morning. During the day of lost sleep, the 3- and 4-year-olds consumed about 20 percent more calories than usual, 25 percent more sugar and 26 percent more carbohydrates, said Assistant Professor Monique LeBourgeois, lead study author. The following day, the kids were allowed to sleep as much as they needed. On this "recovery day," they returned to normal baseline levels of sugar and carbohydrate consumption, but still consumed 14 percent more calories and 23 percent more fat than normal. "With this study design, children missed a daytime nap and stayed up late, which mimics one way that children lose sleep in the real world," said LeBourgeois of the Department of Integrative Physiology. According to the National Sleep Foundation, about 30 percent of preschoolers do not get enough sleep. "We found that sleep loss increased the dietary intake of preschoolers on both the day of and the day after restricted sleep," she said. These results may shed light on how sleep loss can increase weight gain and why a number of large studies show that preschoolers who do not get enough sleep are more likely to be obese as a child and later in life. A paper on the study was published in the Journal of Sleep Research. Even with extensive obesity prevention efforts in the past decade, childhood obesity remains an epidemic. In 2014, 23 percent of American children under the age of 5 years were overweight or obese, said LeBourgeois. Childhood obesity increases the risk for later life chronic illnesses like diabetes and is associated with low self-esteem and depression. Overweight youth are about four times more likely to be obese as adults. "We think one of the beauties of this study is that parents were given no instructions regarding the kind or amount of food or beverages to provide their children," said LeBourgeois. Parents fed their children just like they would on any normal day. The researchers also studied each child across all study conditions – meaning when their sleep was optimized, restricted and recovered – which gave them control over how kids could differ individually in their eating preferences and sleep. The children in the study – five girls and five boys – each wore small activity sensors on their wrists to measure time in bed, sleep duration and sleep quality. Parents logged all food and beverages consumed by the preschoolers, including portion sizes, brand names and quantities, using household measures like grams, teaspoons and cups. For homemade dishes parents recorded ingredients, quantities and cooking methods. 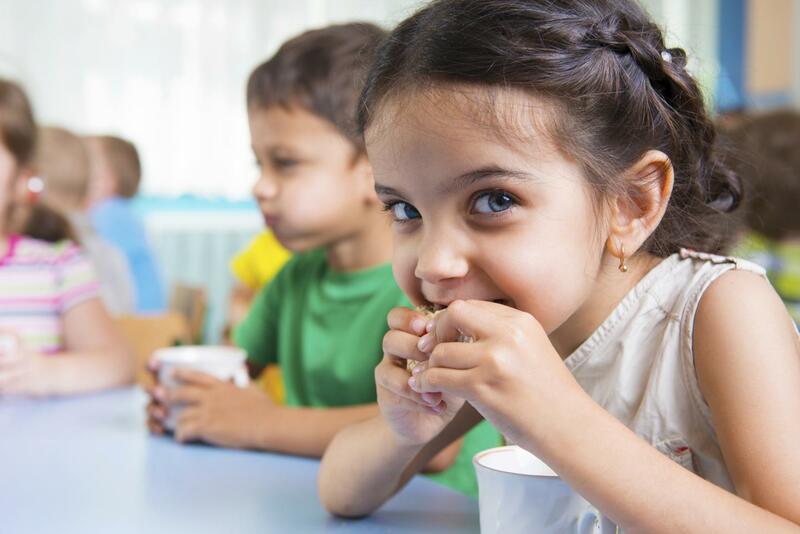 "To our knowledge, this is the first published study to experimentally measure the effects of sleep loss on food consumption in preschool children," said Elsa Mullins, the study first author and a CU Boulder researcher who worked with LeBourgeois as an undergraduate. "Our results are consistent with those from other studies of adults and adolescents, showing increased caloric intake on days that subjects were sleep deprived," she said. Other CU Boulder co-authors include Professor Kenneth Wright, graduate student Sherin Cherian and postdoctoral fellow Salome Kurth. University of Michigan co-authors include Dr. Julie Lumeng and Associate Professor Alison Miller. The new study opens the door for a number of follow-up studies using larger samples, experimentally controlling dietary intake and objectively measuring energy expenditure in children. The study was funded in part by a National Institute of Mental Health grant to LeBourgeois and undergraduate research grants to Mullins from CU Boulder. Another study involving Kurth and LeBourgeois supported by a Jacobs Foundation grant and in collaboration with Brown University was recently published in Frontiers in Human Neuroscience. Findings showed that the developing brain regions of school-age children are the hardest hit by sleep restriction. LeBourgeois is now launching another project that will study the brains and behavior of 5-year-olds who don't get enough sleep. Parents in the Boulder-Denver metro areas who are interested can find more information at http://sleep.colorado.edu or call 303-492-4584.